A few months back I wrote a post about two great books that I’d read called Marked and Claimed. They were written by Sarah Fine and while I loved the plot and writing style immensely, I just wasn’t really into the ‘adult’ aspect of them. Therefore when I saw that the rest of her books were YA (young adult), I decided to give them a go – hoping they were less raunchy. They were – and I quickly discovered three great new books. Sanctum – the first in this series, Sanctum is a book about Lela Santos, a girl with a troubled past, who is just trying to start over. She has a new foster mum, a great best friend and she’s doing okay at school. Things changed however (and I won’t spoil why) but she ends up technically dead in a city for people who committed suicide. She’s here to rescue someone and so determined to do it that she will even sacrifice herself in the process. 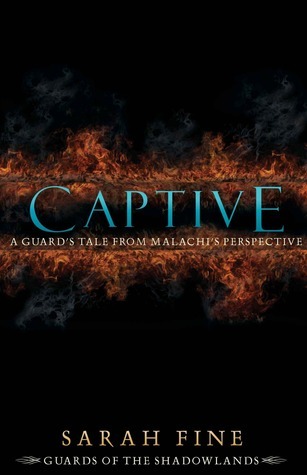 However she meets a guard called Malachi and it’s pretty obvious they like each other. They work together to help Lela’s friend and become closer the whole time. An enemy of the city, comes in the form of Mazikin and these form the main plot for all three books. However there are twists and turns, happiness and sadness, and a massive cliffhanger at the end. Without a doubt if you enjoy the first book, you are certain to pick up the second! Fractured – the second in the series, picks up exactly where the other left off. I can’t tell you an awful lot but Lela is back ‘alive’ and only a few minutes after she last thought she was, even though weeks and weeks have passed where she was. Her role is now Captain of the Guard and she needs to stop the Mazikins from spreading and growing in number. The story centres around Lela’s regular life and her hidden life as a guard. There is school and boys and of course a prom to attend – nevermind the threat to mankind! Again the book ends on a cliffhanger (far worse than the first book) and you are guaranteed to be desperate to read book number three! Chaos – the third and final book, is not just a tying up book as some third books in a trilogy can be, but instead a whole story in itself. I was desperate to get this book read and find out what happened in the end, but there is so much to it that you would never guess. I really can’t tell you an awful lot about this final book but there are people who you thought were gone, back again, but others lost. There is an adventure to the Mazikin city to be had, but also back on “Earth” too. I absolutely loved these books as they are a bit fantasy, a bit adventure and a bit romance. They were some of my favourite reads ever and it has now firmly made me a fan of Sarah Fine. There are a few small books to read in addition to these main three. 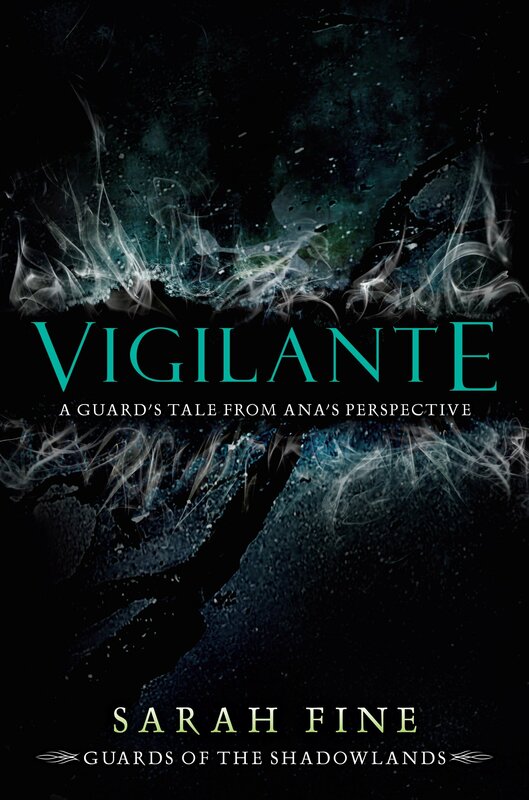 There is Captive, Vigilante and Stories from the Shadowlands. One is Malachi’s PoV before meeting Lela and isn’t many pages at all. One is Ana’s point of view, but runs from first book, right into the third, so be careful not to read this in the wrong place and spoil the ending to book two (as I did). 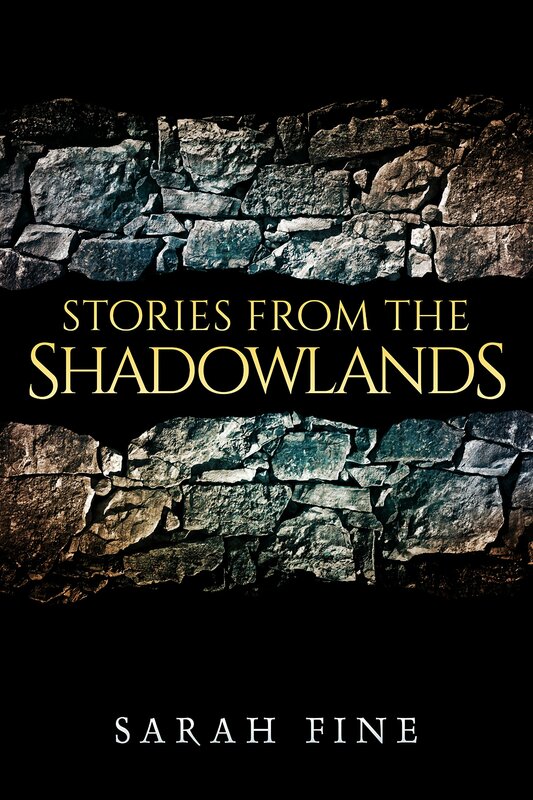 And finally Stories from the Shadowlands is a compilation of various stories, largely from Malachi’s PoV before the first book, but with other bits relevant to all three books and even an additional bit after the ending of three. Make sure you definitely read that one last! Sarah Fine has also written several other books and I’m tempted to try Scan and its sequel Burn. However both are quite expensive at the moment so I’ll probably wait till they drop in price! Just recently I was sent a book to review and since I’ve been trying really hard to read more, I was keen to get my last book (Allegiant) out of the way, to get on with this new one. The book is called “I Was Here ” and is written by Gayle Forman. A brand-new, heartwrenching novel from the bestselling author of If I Stay, Gayle Forman. This characteristically powerful novel follows eighteen-year-old Cody Reynolds in the months following her best friend’s shocking suicide. As Cody numbly searches for answers as to why Meg took her own life, she begins a journey of self-discovery which takes her to a terrifying precipice, and forces her to question not only her relationship with the Meg she thought she knew, but her own understanding of life, love, death and forgiveness. I’m sad to say, I had never heard of Gayle Forman before being offered this book to read. However, having read this book, I’m now going to be looking out for her. I started reading “I Was Here” on January 25th and I was finished by 31st. I started reading just a few chapters at a time but by Saturday I was so into it, that I lay on the sofa and read for about 3-4 hours straight, just to get it finished. As you know, I always try to give my reviews, without any spoilers. So here’s the best I can do. Cody and Meg were best friends, right from Kindergarten. The story begins with Meg having committed suicide and everyone who was connected to her, feeling very effected by it. The story is told from Cody’s point of view and her family background and connection to Meg and her family, make the loss of her friend even sadder. However Cody starts to look into the circumstances of the suicide and actually manages to make other friends, broaden her horizons and I guess find some closure too. At first I was worried that the subject was one that would be too hard to read about – suicide. However I was soon into the book, enjoying the characters – especially Cody’s narrative. It’s a really clever and interesting storyline that I personally felt I could connect with but I don’t know if that’s because I’m female and therefore maybe its more of a chick lit read? The story and writing style was easy to read and the I felt like it all flowed and read nicely. I cried at the end (no suprise really) but I was also happy with its outcome. There was an element of predictability if I’m being honest, but after such a sad basis for a storyline, we all need a little happy ending sometimes. I gave this book 5 out of 5 on Goodreads as I did genuinely enjoy it – as my read in a week shows. That said, I do believe its a book best suited to women and possibly should even be considered a sort of young adult lit too. As you might remember, I have been reading the Divergent series, for quite some time now. I have reviewed Divergent , plus Insurgent and now finally I’m getting around to Allegiant . It’s taken me quite some time to read as I technically started it in November. However part of that I’m going to blame on work and life at the time, so it really shouldn’t be a reflection on the book! As I said before, this book took me a long time to read and although I am blaming part of that on life, its also because I was struggling a little. Unlike the other two books, this one is told from both Tris AND Tobias’ perspectives. For the most part, this whole book is told from alternating points of view. Chapter One starts off as Tris, then Chapter Two is Tobias. Three is Tris and Four is Tobias. And so on, and so on. I found this incredibly difficult to follow at first and often ended up flicking back to the beginning of the chapter, to double check whose perspective I was reading from. However, that said, after finding Tobias and Tris annoying in book 2, I was also struggling generally with storyline. That said, once real life cleared itself up a bit and I actually gave this book a chance, I genuinely started to enjoy it. Several people had warned me about the ending – one my best friend who also read the Hunger Games trilogy, like me – and knew how much I hated the ending. And one, a friend on Facebook who had seen I was reading it because of my Goodreads and had told me I would hate the ending and want to rant about it. I had a quick scan through Amazon reviews and Goodreads and it seems like a lot of people had an issue with book 3 and especially its ending. Well sorry folks, but I actually loved. After a struggle with the first half of the book, I really got hooked by the second half. I sobbed my way through the last few chapters and yes while it was a sad ending, I still found it a very satisfying ending. Sometimes not everything can be “happily ever after” I”m afraid. For me, the ending was perfect and really the only way it could have ended (or at least similarly). I would definitely recommend these books to anyone and I think if you give them a chance you’d enjoy them. I lent all three books to my mum over this last weekend and she took two of them away with her over a period of four days. She’d read both by the time she came back and couldn’t wait to get into the third, which she’s now read too. She loved all three, found them very easy to get into and like me, felt the ending was really good (and quite unexpected). I’m pleased to have found someone else who did enjoy them and felt like the third book was a good end to the Trilogy. Now I just have to decide what to get into next! I was lucky enough to receive an advance copy of “The Parent Agency” by David Baddiel (hence the cover and graphics) and while I read it quite a while ago, its unfortunately taken me ages to get around to writing about it! It is available from Amazon and at the time of publishing this post, costs just £6! The Parent Agency . This book is by David Baddiel, as I mentioned. He’s published three other books for adults, but this is his first for kids. As I’m obviously not a kid myself, its hard to judge it completely. I found the book pretty funny and the story line was actually really good. There were times when I found some of the language and expressions a bit tiresome and repetitive, but I’m sure that’s not something that most people would notice, especially kids. But there is a world, not far from this one, where parents don’t have children. That’s far too random for something so big and important. In this world, children are allowed to choose their parents. The start seemed a little slow getting going, but then once it did, I found it more enjoyable. It’s an easy read and I actually completed it in one day – a train journey to and from London in fact. The storyline IS predictable, but that doesn’t make it any less enjoyable. In fact, at the end, I still got a little choked up – perhaps because I am a parent. I do think its something that Megan would enjoy reading (she’s 9, nearly 10) but I’m not so sure about Lily at only 6. I also think that perhaps its a little more geared to boys, though I’m sure girls would like it too. I’m definitely glad I got to read it and would happily recommend it to others. Usually I try to do a book review as a “no spoilers”, however as this book is the second in a trilogy, I feel like spoilers, certainly to the first book, are quite likely. Therefore if you have not read Divergent, please do not read this book review of Insurgent. I thoroughly enjoyed the first book of this trilogy – Divergent. I was under the impression it was similar to Hunger Games so that was my initial appeal in reading. Not long after I read the book, the movie came out and Nat and I went to see Divergent the Movie. This was great too. I immediately went out and bought myself a copy of Insurgent but what with one thing or another, I didn’t get around to reading it for ages. In the end it got to September before I finally picked it up and while I was a little slow to get into it, once I did, I was finished pretty quick. The book picks up from almost exactly where Divergent leaves off. You follow both Tris and Tobias as the aftermath of the Dauntless attack takes its toll. As I said before, I try to write these reviews without spoilers so I don’t really want to get into plot too much. Instead I will say that while not as good as the first book, Insurgent has a good pace and is interesting enough to get you hooked into the storyline and continue to read. That said, Tris annoys me considerably in this book. Not only that, but her relationship with Tobias frustrates me incredibly. While the plot and story are interesting, though at times I did skim read a page or too, the most dragging part of the story is really the relationship between Tris and Tobias. On many occasions I can’t really understand why they are both acting the way that they do and not only that, I often wanted to bash their heads together. Overall it was a good book and where I’d give Divergent a 5 star rating, Insurgent would really only warrant a 4. There are some great parts, a lot of suspense etc but really its the main couple’s relationship that lets down this book for me. I’ll definitely still watch the movie when it comes out but fingers crossed its a little better than the book. However, with that said, Insurgent definitely leaves you wanting more. The very day I finished reading Insurgent I ordered Allegiant online. Sadly I have a couple of other books to read first but I am dying to know what happens – despite being told its not a great ending. I’ll let you know what I think, as soon as I get around to reading it! Recently I was lucky enough to be given a copy of Oliver Jeffers “How to Catch a Star” book, celebrating its 10th Anniversary, in order to review it on my blog. Not only that, but the lovely people at Harper Collins, gave me an extra copy to give away to a lucky reader! I have been a huge fan of Oliver Jeffers, ever since my eldest daughter was about 4 or 5 years old. I picked up a copy of “Lost and Found” from a local bookstore and it fast became one of her favourite books. Needless to say that when we spotted it was a cartoon one Christmas, the two of us relived the story over and over again, watching the animated version of our much loved book. In the past, we have also owned a copy of How to Catch a Star, though I passed it on to my mum and never seemed to get it back. This is still one of my most favorite children’s books. “How to Catch a Star” is a beautifully illustrated and cleverly written story (all by Oliver Jeffers himself) and is about a young boy who wants to catch a star and have it for a friend. The whole story focuses on the boys determination to catch the star and of course how that turns out. Not only is it a lovely story to read to your children, its also at a level whereby children of around 5-7 will be able to read it themselves. Tonight my youngest daughter and I read it as a bedtime story – though she read it all to me, rather than the other way around. “How to Catch a Star” is Oliver Jeffers’ debut book, now celebrating its 10th Anniversary. I would strongly recommend it to all parents, along with any of his other books. If you would like to win your very own copy of “How to Catch a Star” 10th Anniversary edition in hardback, please enter the competition below. If you would like to download, print and complete some activity sheets themed on this book, please click here to download the PDF files. Though Journeys are my Diary is my own personal lifestyle blog, Twice the Mum is a sister blog, soon to be launched by myself and my friend Nat. To enter this giveaway you only need follow and/or like my own blog but additional entries are given for also following and liking our new blog too, going live soon! This giveaway is only open to UK residents. Prize is for one hardback copy of Oliver Jeffers’ How to Catch a Star book, kindly gifted to me by Harper Collins publishers. Competition ends midnight on April 7th and the book will be posted out during that week (just in time for Easter!). I have heard both bad and good reviews of this book, so I wanted to share my thoughts with you, especially with the release of the movie very close. Last year when Nat and I went to see Hunger Games – Catching Fire, we saw a trailer for the Divergent movie. We had never even heard of the book before but the movie was eye-catching and since it was sold as similar to Hunger Games, it definitely piqued our interest. Nat’s birthday was only a few days after we saw the trailer and so I bought her book 1 & 2 in the trilogy (Divergent and Insurgent). I left the third book (Allegiant) for the time being, as it was only available in Hardback and I knew she would like a matching set. Nat read them pretty much straight away and from what I can gather, thoroughly enjoyed them. I wasn’t finding much time to read around then but when she offered me them in February, I jumped at the chance to borrow them. Luckily Nat brought Divergent round just as I was ready to start a new book and so my March book has been Divergent. For those people who say its a poor version of Hunger Games, I think they’re wrong. I do however think its very unfortunately for the author, that this book came quite so close on the heels of Hunger Games. While on the one hand I’m sure that is actually what helped her get a movie deal, on the other hand a lot of comparisons will go on. I’m not going to lie either, I would pick Hunger Games to read over Divergent, any time. That said, Divergent IS a good book in my opinion and I did thoroughly enjoy it. Other than the book blurb, there isn’t really much I can tell you about the plot that won’t spoil the storyline for you. The theme is dystopia and the main character is female (I guess that’s where the Hunger Games comparisons come in). Also like HG, the books are part of a trilogy and are being made into a movie. For me, the book was an easy read, enjoyable and with enough interest that came me going back to pick up the book. In fact towards the end I definitely had far more trouble putting the book down. On top of that there were even several parts of the book that made me cry and by the end I definitely wanted to read the next book. So much so in fact, that as I don’t know when I’ll see Nat again to borrow book 2, I picked up Insurgent from Tesco last Saturday. I intend to lend the books to my mum as she enjoyed Hunger Games and I think she’ll like this too. I also have tickets for Nat and I to see Divergent at the movies on 1st April, so I’ll let you know what I think. Reed by Allison Saltz is my next book. Its not actually available till April 18th but I’ve been given an advance copy to review. I look forward to letting you all know what its like! After that, I’m sure to be moving on to both Insurgent and Allegiant in order to finish the trilogy.